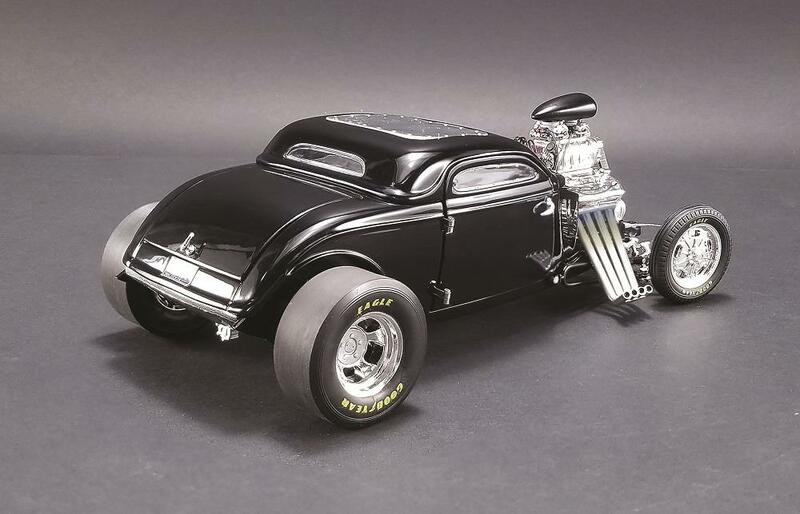 ACME Diecast Black 1934 Outlaw Blown Altered Coupe 1:18 Scale Model A18900 - Free Shipping over $99 at California Car Cover Co. 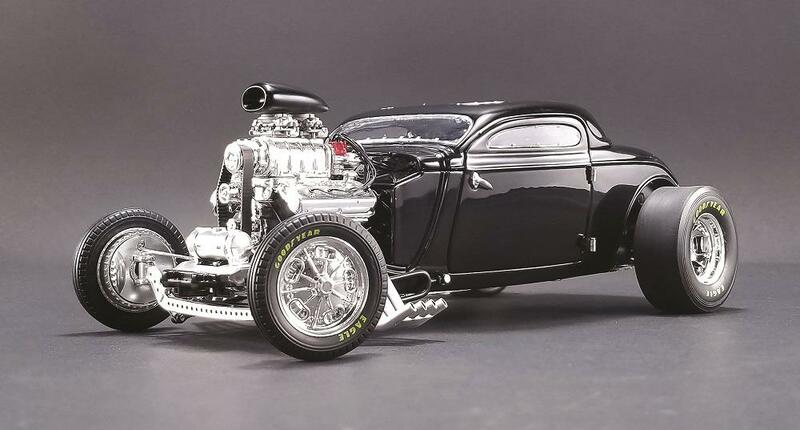 Dubbed the Outlaw, this 1934 blown altered coupe blows-away the competition. 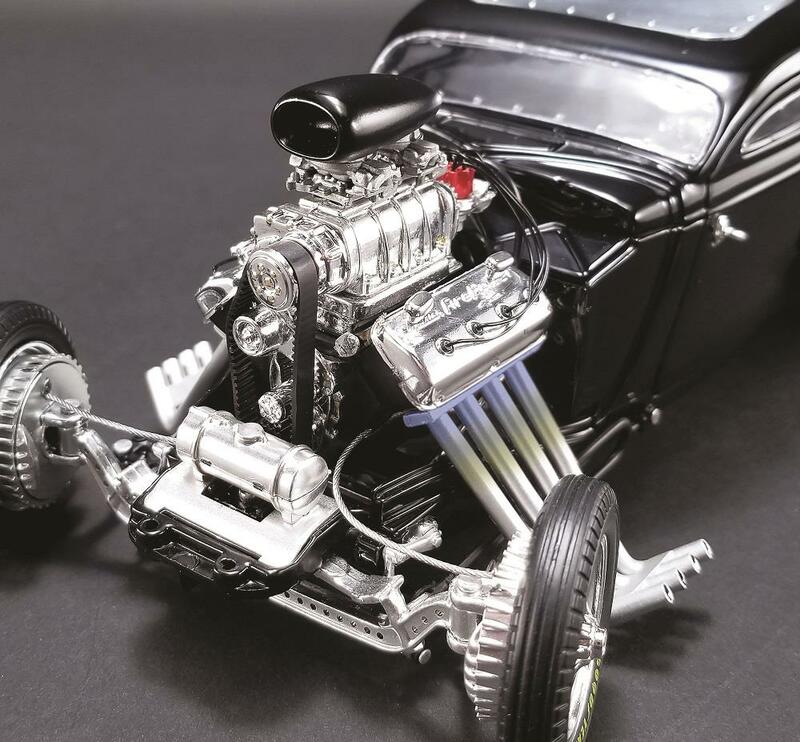 The chromed-out, fully plumbed and wired blown Hemi engine is truly dazzling, along with the gorgeous glossy black paint job. 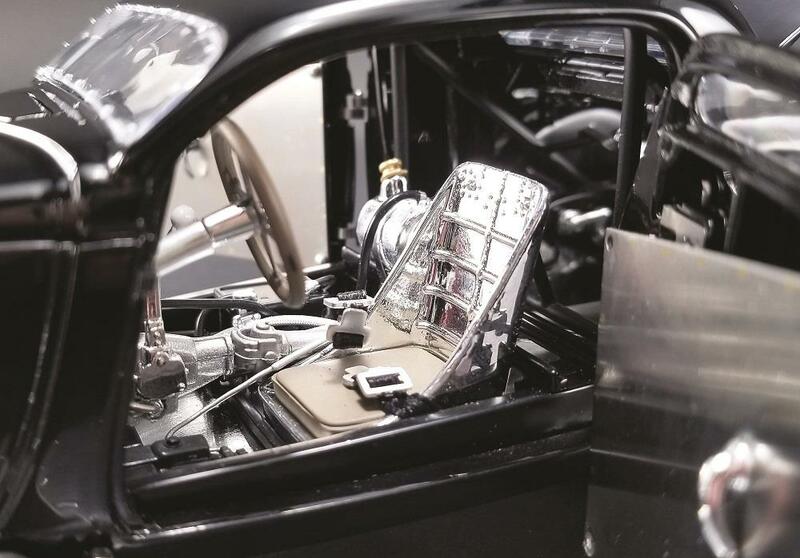 Complete with Zoomie headers, dropped suspension and a chopped roof, removable metal roof insert, highly detailed interior, opening doors, and trunk outfitted with twin nitrous tanks. Fitted with real rubber slicks on the back and skinnies on the front. 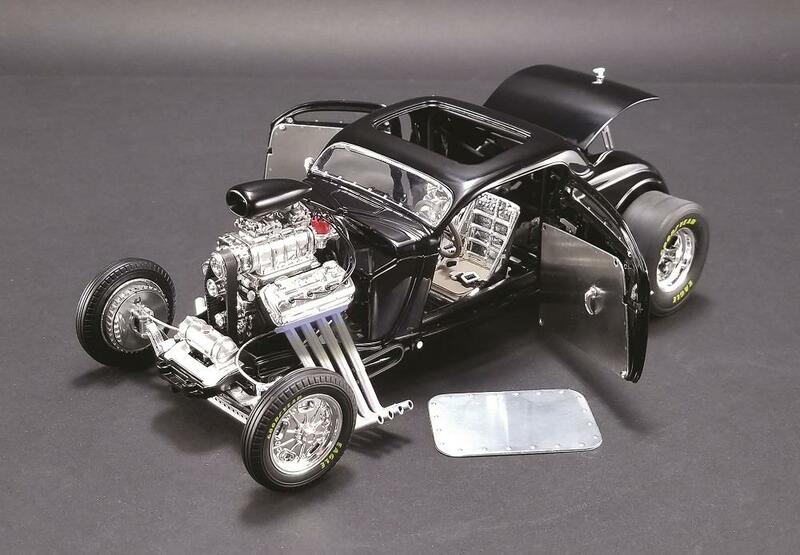 This ACME Diecast A18900 1934 Blown Altered 1:18 scale replica model was produced in a limited edition of only 500 pieces.